Posted on September 21, 2009, 10:51 am, by E gan F, under Photos. A photo of where the rail tunnel from Heuston to Connolly goes under the Phoenix Park. As you can see I was waiting for cyclists to fill that space. 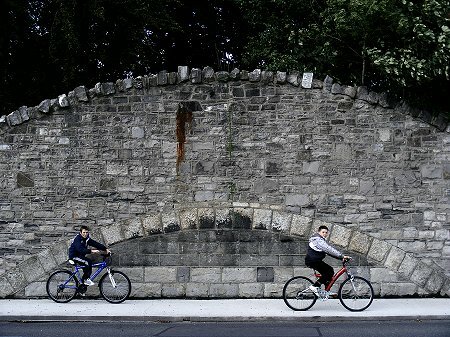 This is down by Islandbridge, on what was once upon a time the main road from Dublin to Galway.